Learning how to set RA and DEC with the Meade. Shame GPS is not working. 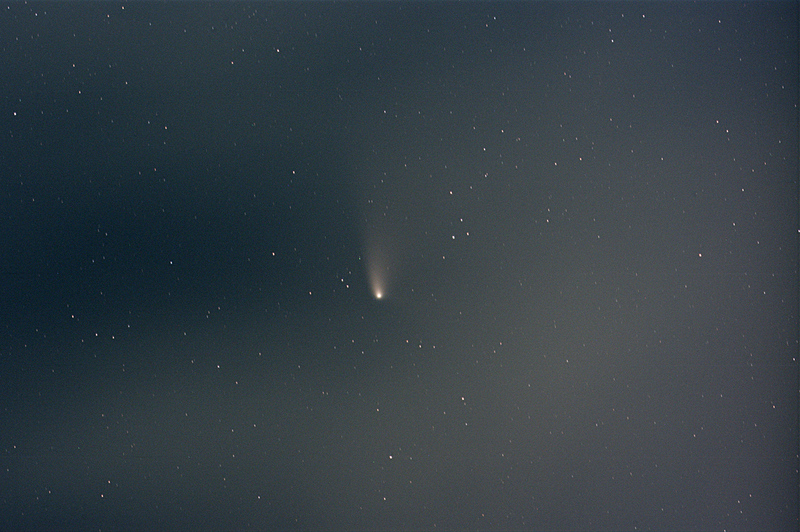 Some" twinkle" (reduced seeing). but overall a good night -10 p.m. to 02.45 a.m. Moon had now come up and sky was getting washed out. This was taken on a finally clear night, through clouds close to the horizon and directly over Doncaster town centre, not the best of circumstances, but time was pressing. 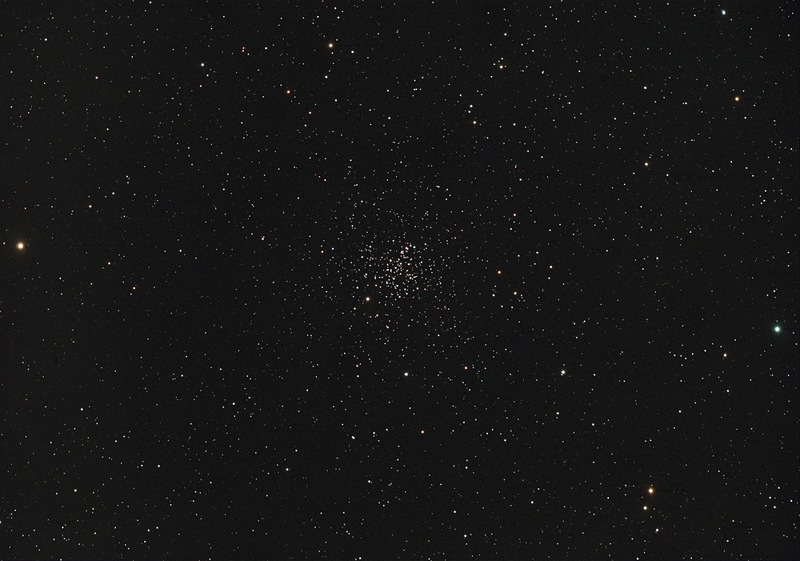 Using the M25C and 106 and 25x20sec frames. Every frame was full of cloud, all different patterns, almost worth making an animation of the patterns of cloud passing in front of the comet, but not really, unless we return to the conditions we've had for almost a year, and the cabin fever. Acquired in Nebulosity, stacked in Astroart and finished off in Photoshop. At last a clear night, lots of time lost in trying to remember how I did things when it was last clear enough to take photographs. This is a return to the M25C, lovely camera, after many trials with the DSLR, mostly failures, enamoured of its small pixels though I am. The telescope used was the Takahashi 106. 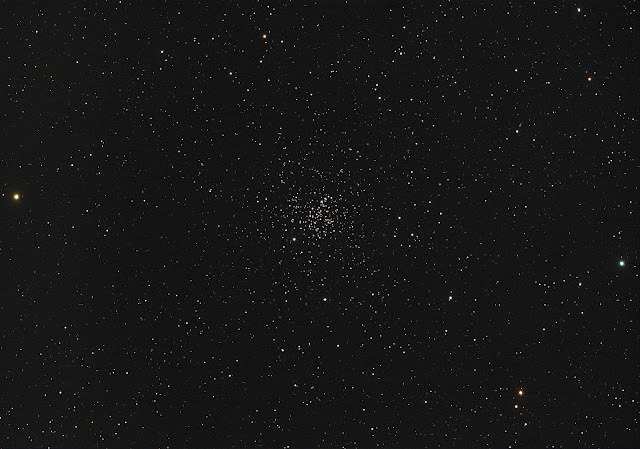 Not clear enough to work on nebulous subjects or galaxies, so open clusters fill the bill as I ease into the saddle again, hoping for a good long ride. The exposure was 32 frames of 60sec each, stacked in Astroart and finally processed in Photoshop. Re-processed, 21.5.13, with more care for star colours and background.